It’s the first week of November and the end of Daylight Saving has taken an ugly hold over all that we hold dear. Getting off work, adventuring, even working out outside becomes a chore as darkness falls the minute five p.m. hits. 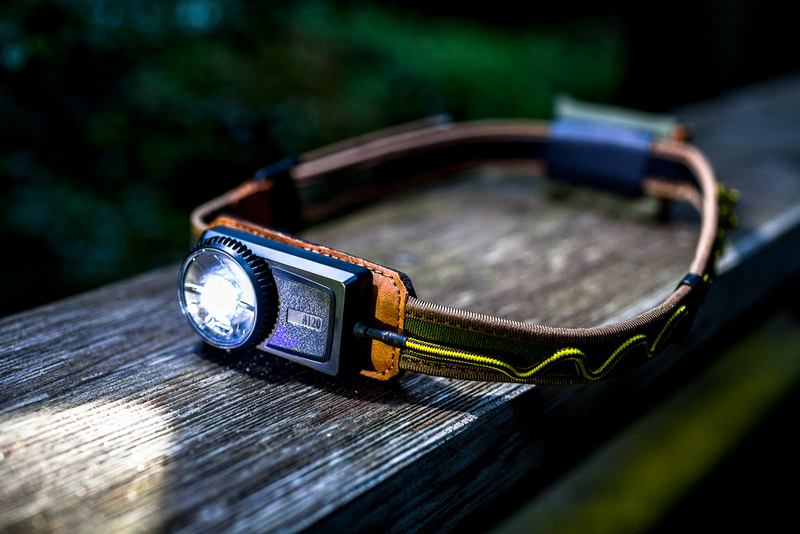 The need for more light becomes abundantly clear and I found the new UCO Comfort Fit Headlamps to be a nice fit for tasks that needed a smidge of illumination, or, something requiring a bit more strength. A first entry for UCO, the brighter A-120 and small A-45 are smart and low cost solutions for those looking for comfy light. 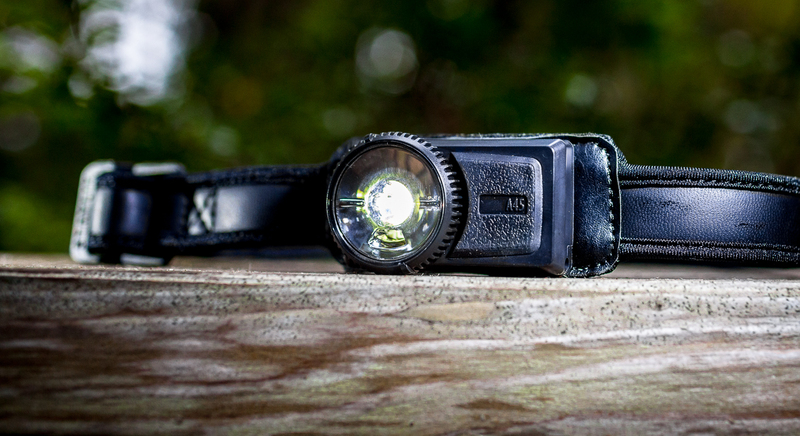 At 120 lumens, the appropriately-named A-120 is for anyone looking to get the bulky weight of headlamps off their forehead and quite simply, somewhere else. Three AAA batteries are placed at the back of the lamp with a flexible cord connector and wrapped up in smooth canvas. One bright LED and a red one serve as the points of light, all connected with an easily adjustable neoprene headband. The headband is readily waiting for adjustment, with an easy to use velcro strap. Once you set it, you rarely have to reset the size, though it does happen for different tasks. The main selling point for headlamp is comfort, and though strap squeezes my head in a comfortable manner, I found that unless I had it very tight, it would slide down and rest on my ears. This was because the weight was center-focused, versus more or less on one side. I wasn’t a huge fan of this, but it wasn’t a deal breaker. The main LED is amply bright and lit everything I needed it to. As well, the turn dial on-switch seems great, but I forget every single time which way to turn it. The A-45 on the other hand, is hailed as one of the lightest headlamps on the market. I found that to pretty much be the case for me. Very comfortable due to its light weight, the A-45, although dim, almost disappeared after wearing it for a few minutes. I even forgot it was on! Great for use as an emergency light to keep in your pack or car, it also works well as a general task light, when you may not need a ton of light. I found it to work extremely well when I needed to do anything close up with my hands in dark areas, like setting up a fire. Also great for runners that need only a small amount of illumination, or to be seen by oncoming cars/other people. With such a light gadget, it’s hard to argue not keeping this anywhere you might need it. …and most of the functionality of the lights. They worked dependably and though I haven’t had any issues with the build quality, they do seem on the light side. Something one might want to consider when putting these through the ringer. For casual use, or maybe an extra lamp, they work very well. My guess is that UCO is marketing to that front anyhow, since they come in a variety of fun colors not usually seen on headlamps. The A-120 comes in at $40 and A-45 at $30, about average for most entries. Disclosure – I received these products from UCO Gear for the purposes of review. All opinions are my own and truthful.